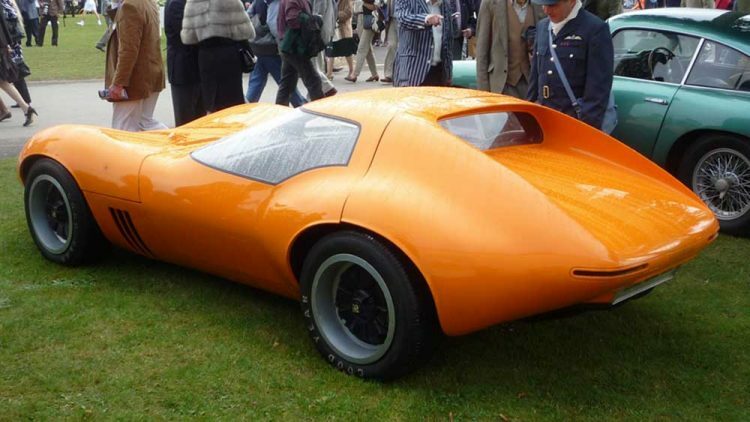 There has been quite a lot written about the XVR Concept over the years and some, not all, has been a little bit wide of the mark in terms of accuracy. 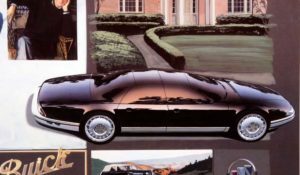 Here’s the real story behind one of Vauxhall’s most enigmatic cars that never made it. 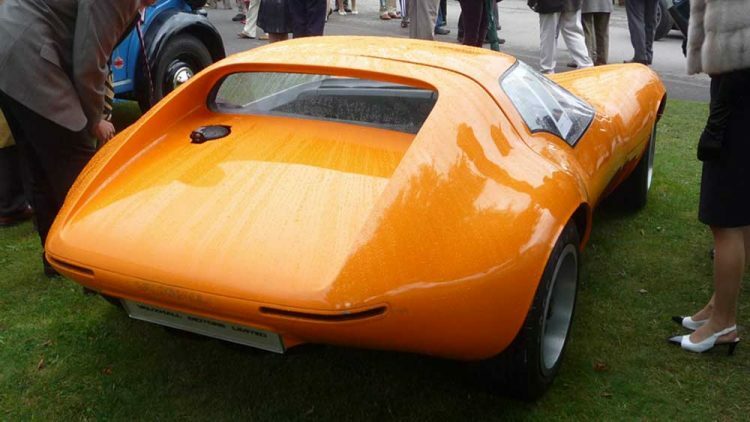 In the late ’50s and early ’60s Vauxhall’s public persona was generally that of a staid producer of family orientated cars that were mechanically very conventional, although their engineering department was adept at experimenting with all sorts of ideas which never saw the light of day, and the styling generally followed the same pattern with the exception of perhaps the PA Cresta & Velox which stood out from the crowd. 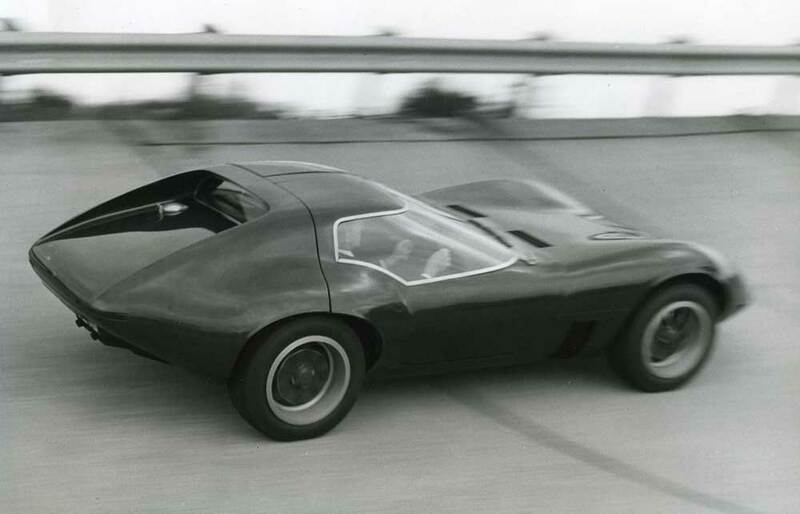 The FB VX Four Ninety was the first attempt at something “sporty” and along with some success in racing at the hands of Bill Blydenstein did go some way to least start a change of image. 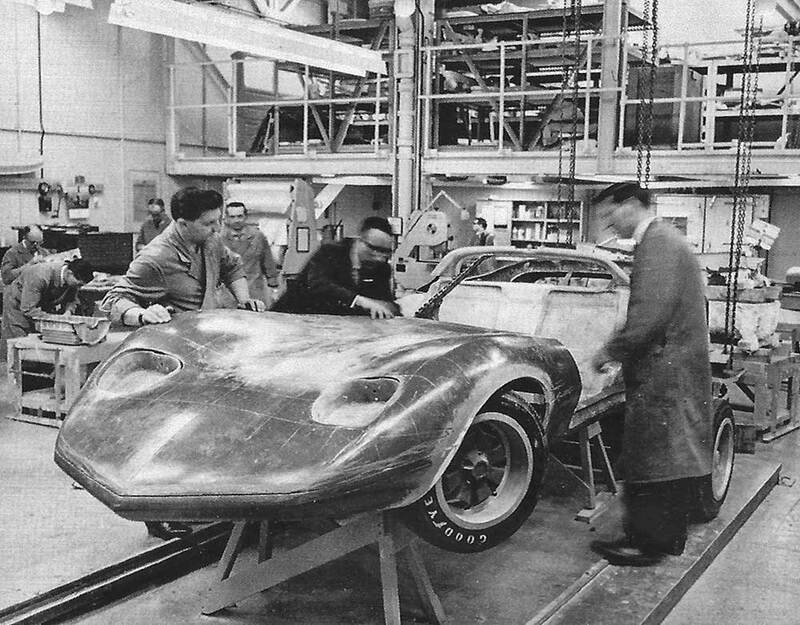 In 1964 Vauxhall had finished building a brand new Design and Engineering Center close to the main Luton plant which was vastly bigger and better equipped than what had gone before, it was planned and designed from the outset by Director of Design David Jones and, working closely with new Director of Engineering John Alden, he had ensured that it housed all that was needed to design and engineer a car from scratch to full working prototype in an ideal environment. 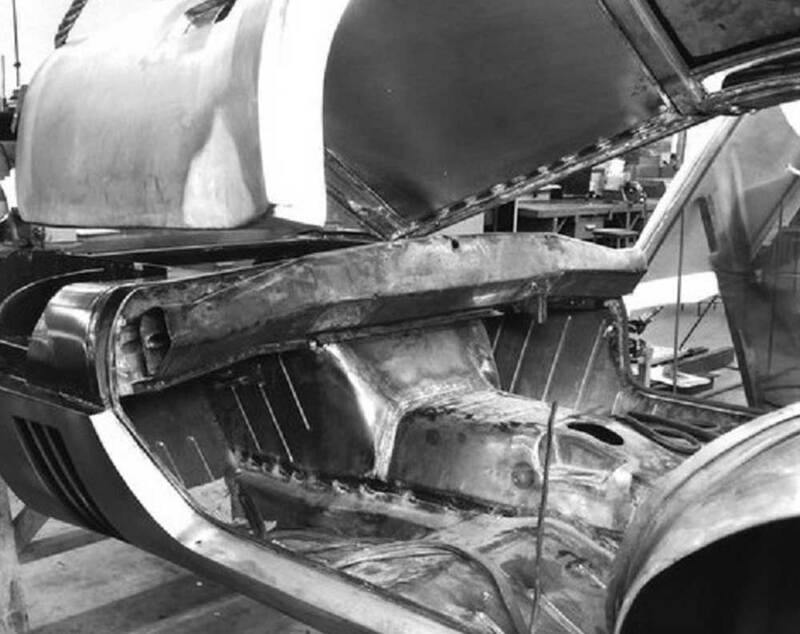 With all these new facilities and equipment at his disposal, Jones and his team set about finishing the next Viva, the HB, and also start work on the new Victor, the FD. 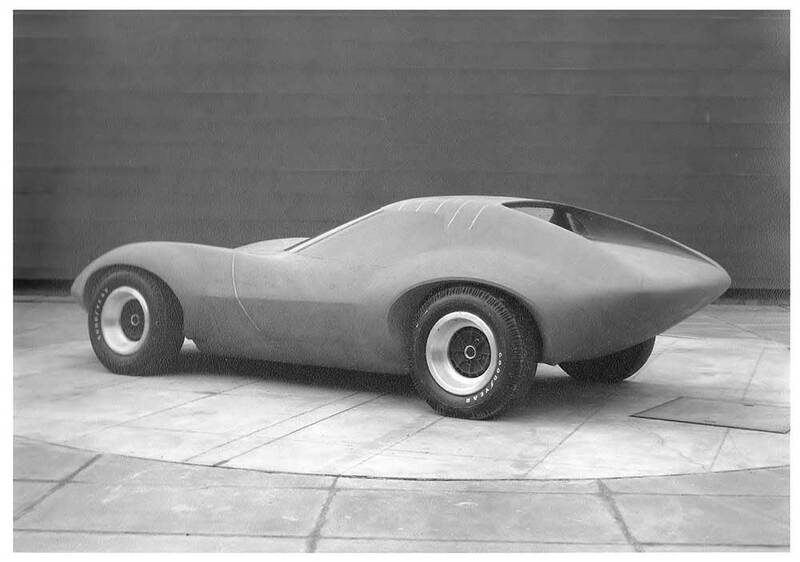 However, Vauxhall’s management had been persuaded by Jones that it would be possible to add a boost to the public’s perception of the Vauxhall if it were to display publicly some of their concept work in the same way that GM’s various divisions did at American auto shows. 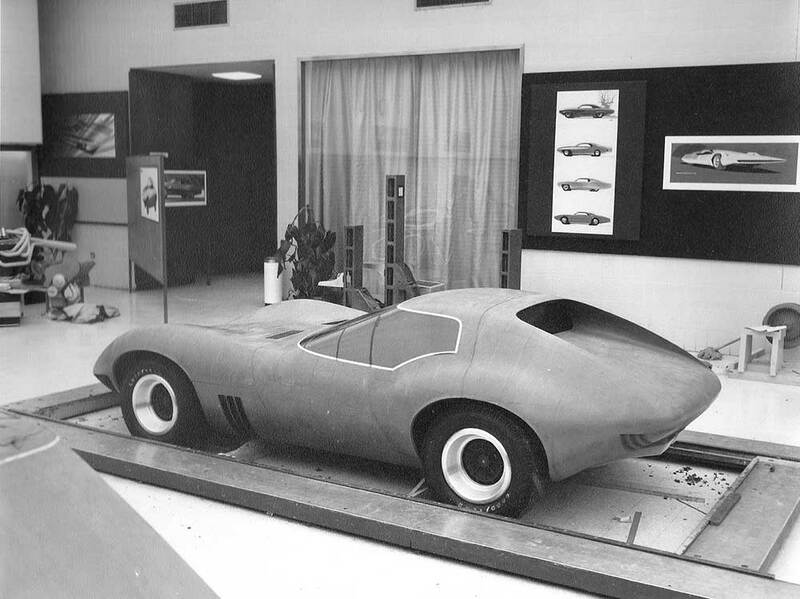 Jones’ team had produced a pretty two seat open top sports car based on the HA Viva several years earlier, but planned a second sports car project that would be a bigger closed coupe, in a similar mold to the upcoming Corvette from Chevrolet. 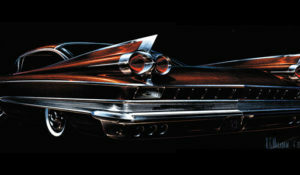 Jones picked four key people, all highly talented, to specifically manage the project. 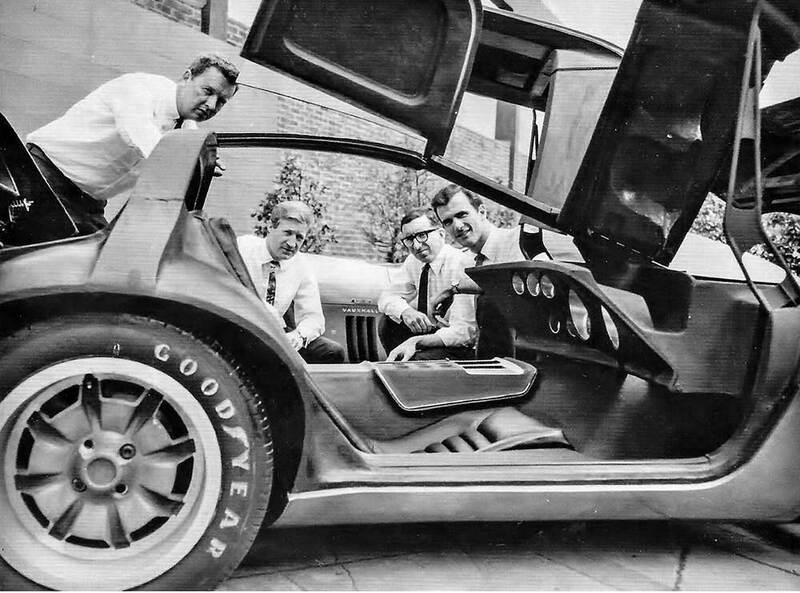 Heading this team was 28-year-old Wayne Cherry who joined Vauxhall Design in 1965 from the U.S. where he had worked on the original Chevrolet Camaro as well as the Oldsmobile Toronado. 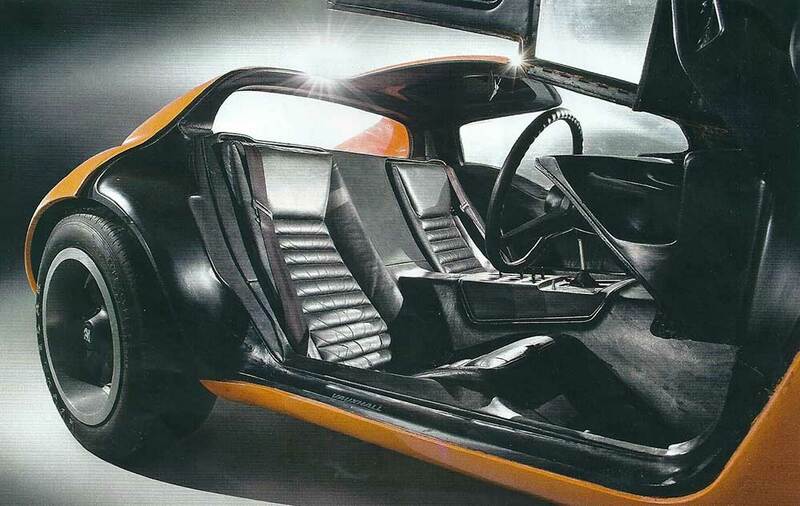 Second was Australian born stylist John Taylor who would eventually take over what became Bedford Design after Cherry departed to become head of GM Europe Design in the early 1980s. 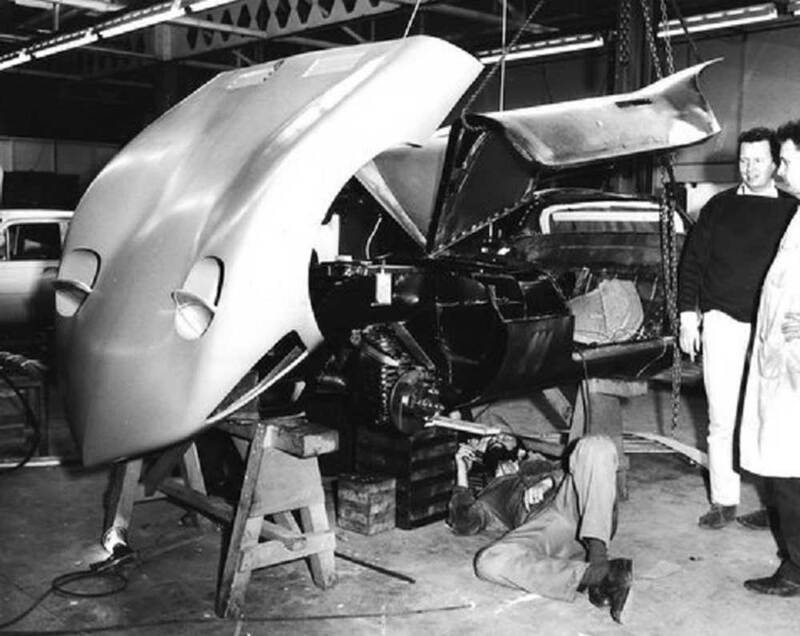 Third was Leo Pruneau, who had joined Vauxhall in 1964 as Assistant Design Director and had initiated the XVR project, Leo went on to head Holden Design in Australia. 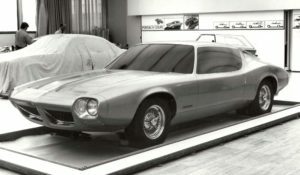 The fourth man was Judd Holcombe, also from the U.S., who was appointed as project engineer and who eventually returned to the U.S. to take up a senior position at Pontiac Design. 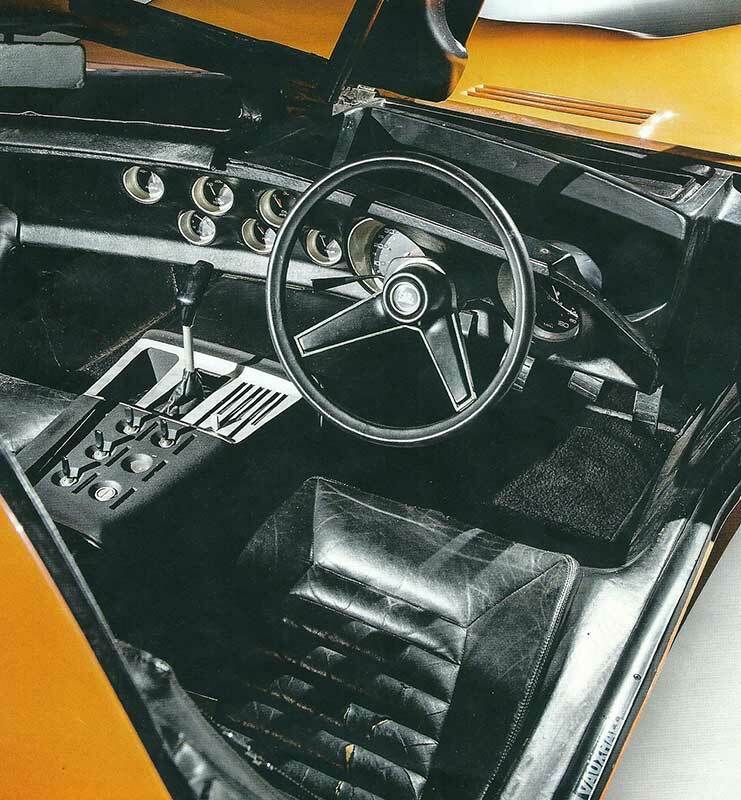 Generally uncredited was another American, Pat Fury, who was responsible for the interior design, and also a whole army of skilled craftsmen working in Vauxhall’s styling and engineering departments. 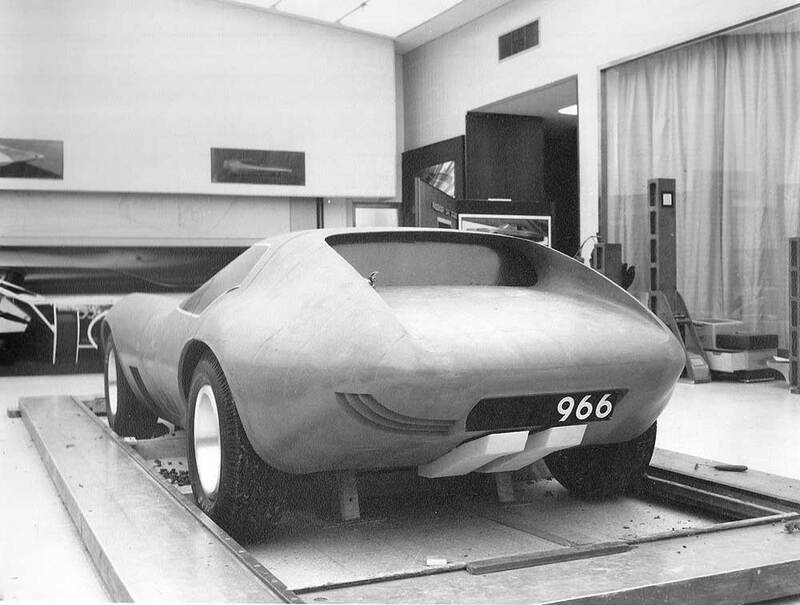 The plan from Vauxhall management was to have a fully running prototype ready for the Geneva Motor Show in March 1966. 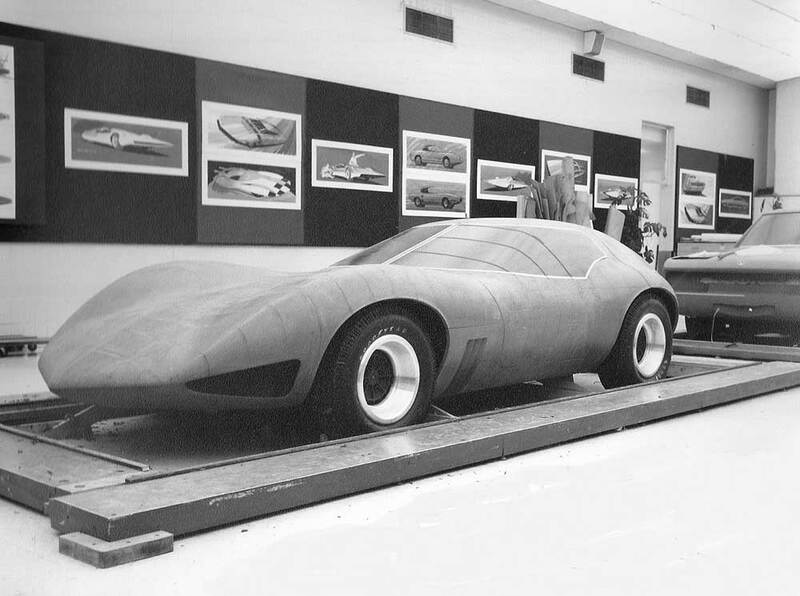 Starting from scratch, work commenced in October 1965 and moved very quickly through draft design, scale clay, and full size clay models. 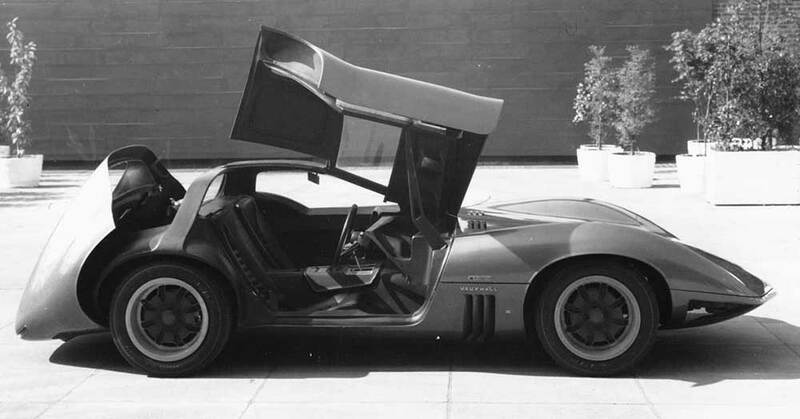 The XVR was built on a custom built chassis using a single backbone format for mounting of the gull wing doors which also formed the unusual split windscreen created with single wraparound glazing, in addition a clam-shell bonnet and rear compartment was mounted on the same framework. 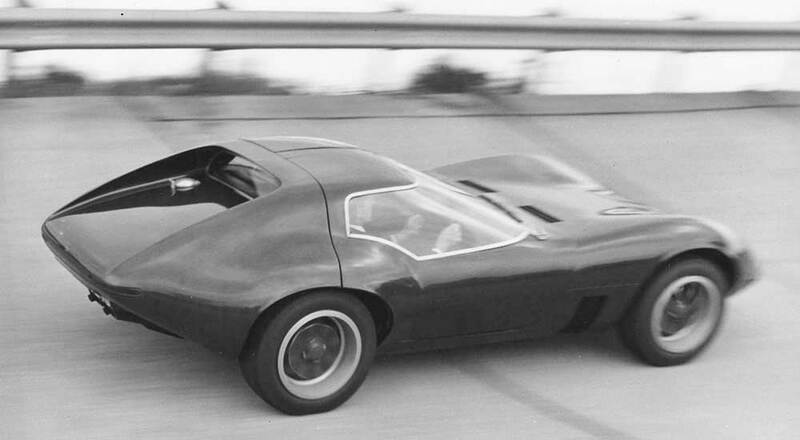 Pop-up head lights smoothed out the shark like front end and the overall look was that of a miniaturized version of the Corvette “Mako Shark II” concept first shown in the summer of 1965 complete with fish gill-like air louvers behind the front wheels. 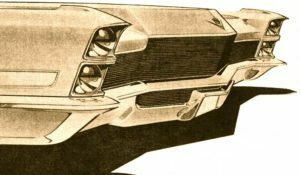 At the rear the thin wraparound rear light units were a teaser for those that would be used on the HC Viva and Firenza some four years later. 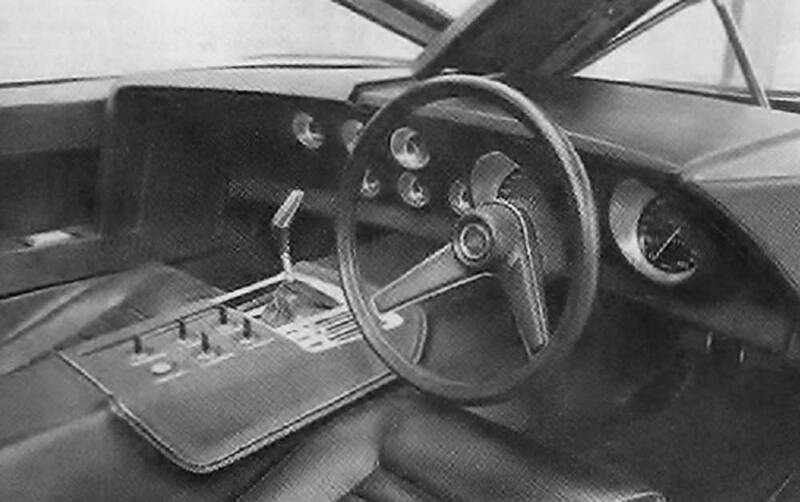 There were also a mixture of different wiper arrangements on each of the three prototypes produced, the “hand clapping” wipers were deemed the best looking but were the least effective. 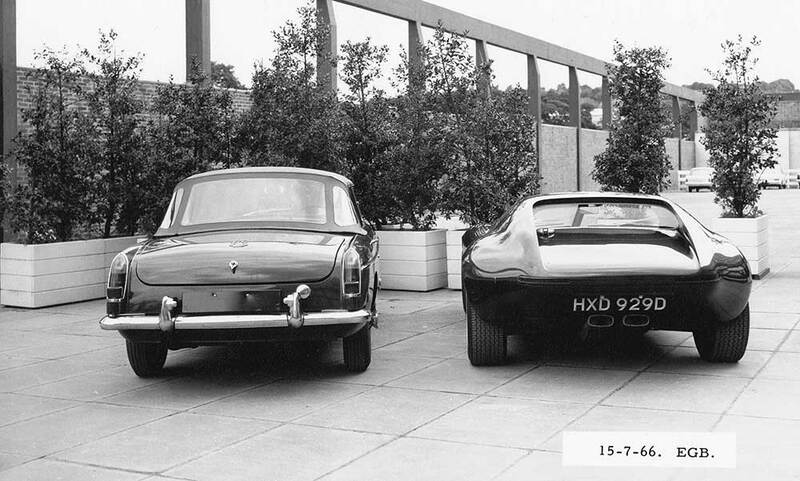 In all three XVRs were built, the road going version was made in metal, the other two were in fiberglass, and were both non runners without any engine or transmission fitted. 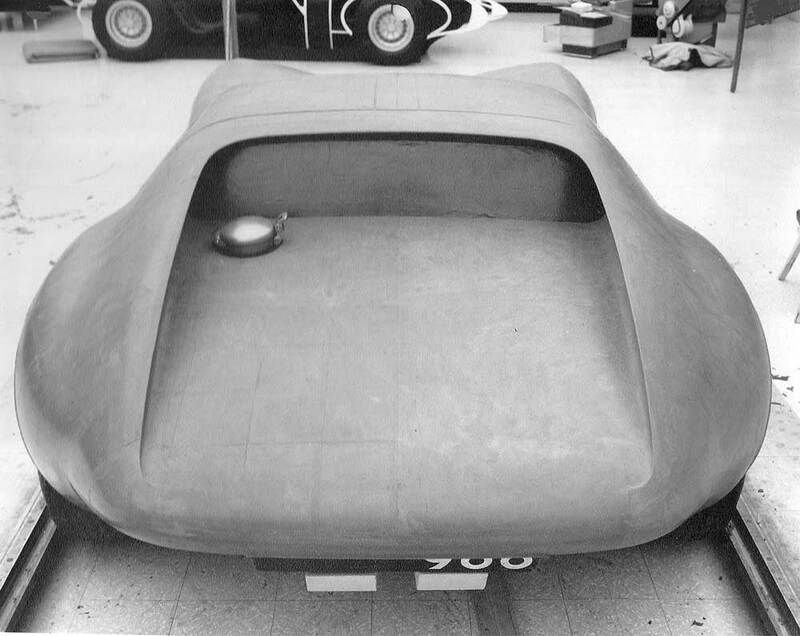 Surprisingly, and maybe in view of the tight schedule, to save time the metal panels for the running prototype were fabricated by Motor Panels of Coventry, this included all of the body panels including the clam-shell bonnet, and were done working from a solid fiberglass model of the car. 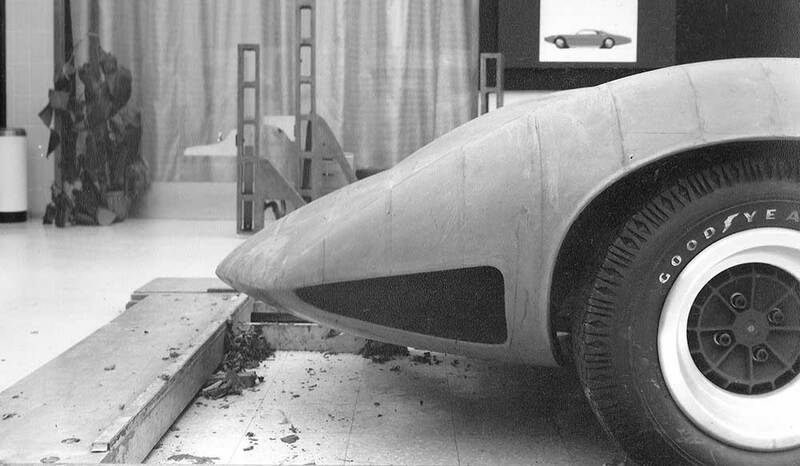 Mechanically the car was a mixture of standard off-the-shelf parts combined with specially fabricated components. 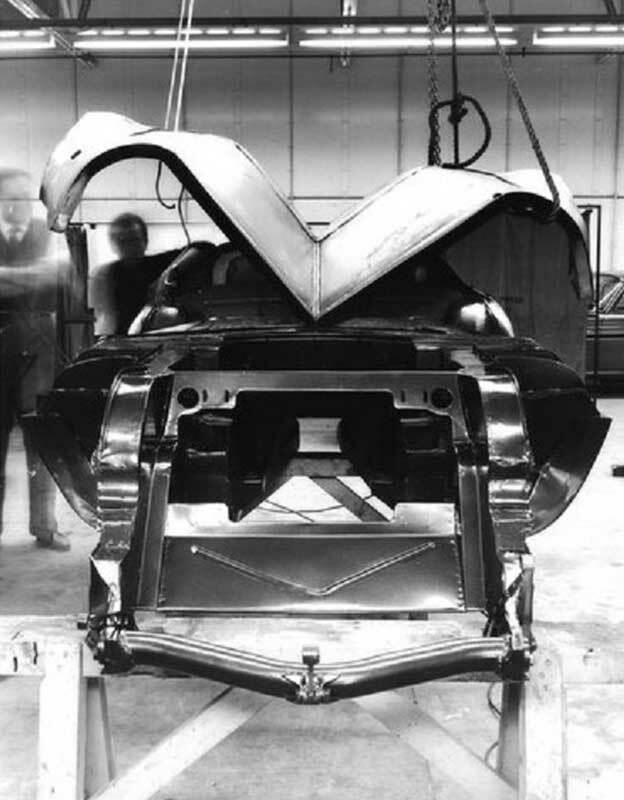 The front suspension was a tailor made mixture of FC VX4/90 and PC Cresta components, whilst the rear was a specially designed and modified version of the experimental independent set-up that was originally developed for the HA Viva that was never used and was modified with PC Cresta disc brakes. 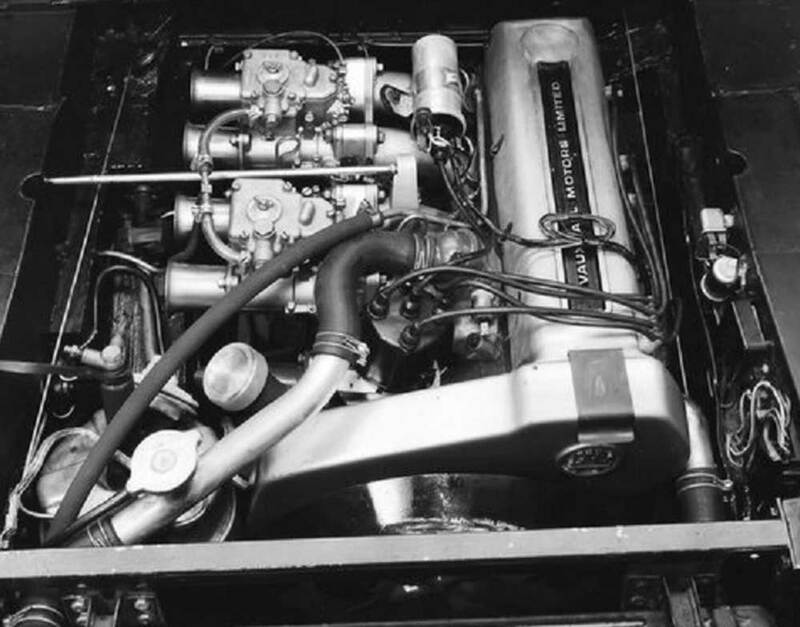 The engine was always thought to be the FC VX4/90 1594cc twin carburettor unit giving 71bhp (net) in fact, as can be seen in the pictures, it was an early pre-production slant 4 ohc 1975cc unit complete with twin side draft carburettors and, unlike the regular slant 4s, had a metal cambelt cover. 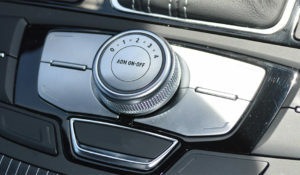 This would have produced in excess of 100bhp and was enough to give the car a top speed in excess of 100mph. 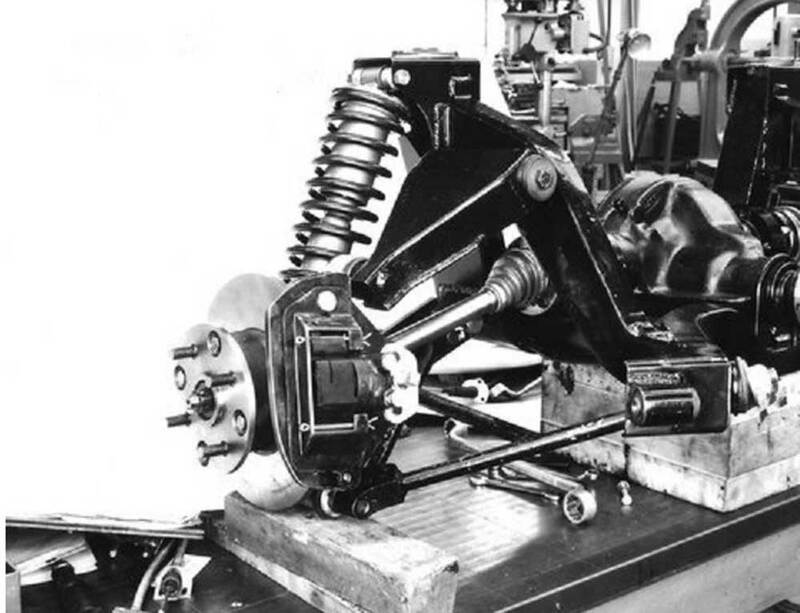 The engine itself was a tight squeeze and was mounted as far back from the front axle, and as low down, as possible for near ideal weight distribution. 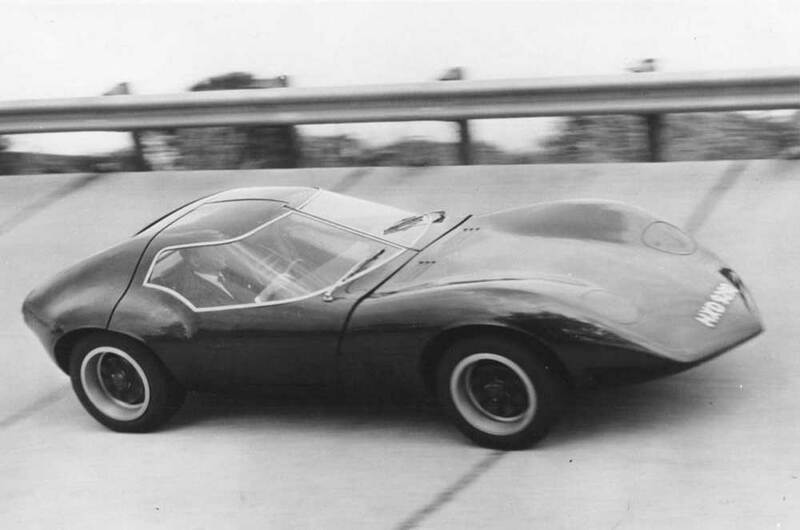 At the Geneva Motor Show in March 1966, the XVR was a major attraction and in a press release an obviously very proud David Jones stated the XVR to be “uncompromising in its styling treatment, the XVR shows the future trend in world automotive design.” What David Jones did not explain was what XVR stood for—later it was described as the rather clumsy name: Xperimental Vauxhall Research. 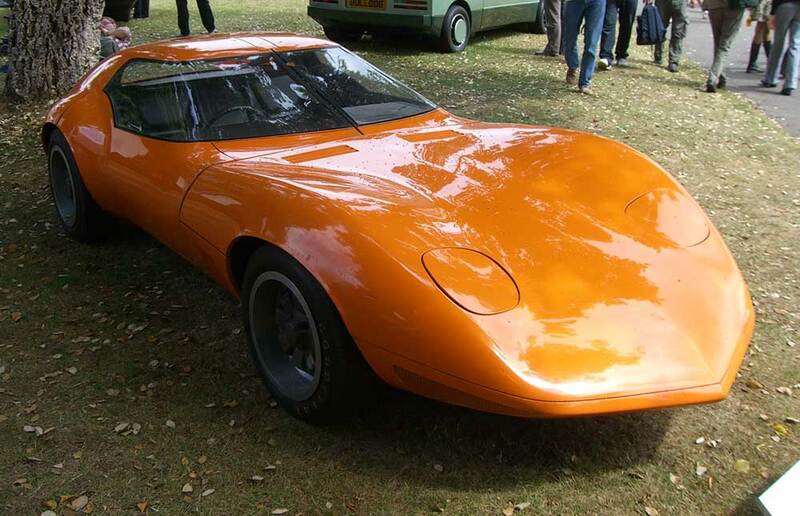 It is also not clear just how serious Vauxhall was about actually producing a version of the car, it would have needed to be re-engineered in several key areas. 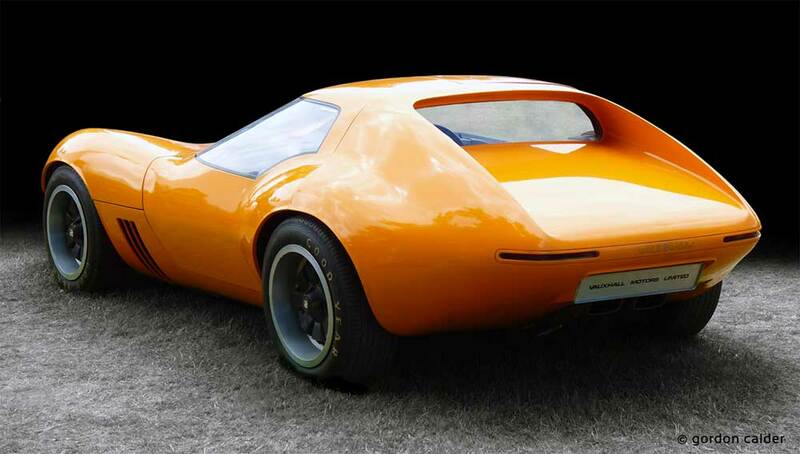 But as we know now, Opel were working on a similar project which did make it to production in the form of the original Opel GT. 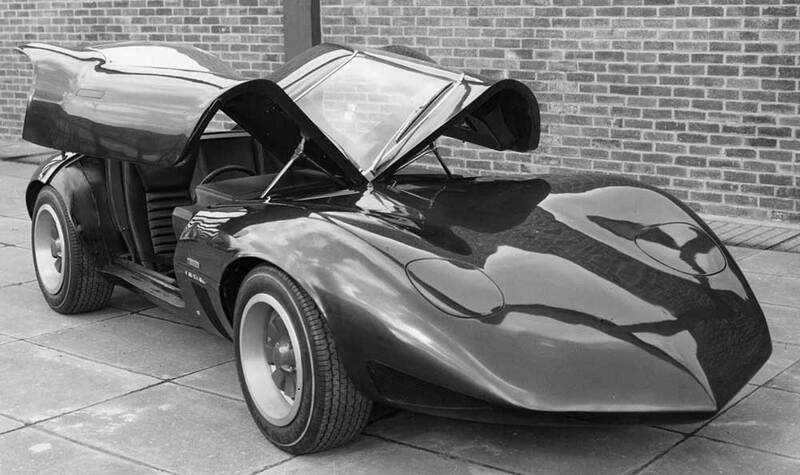 The Vauxhall XVR was much more dramatic and better looking than the Opel, but was far less practical. 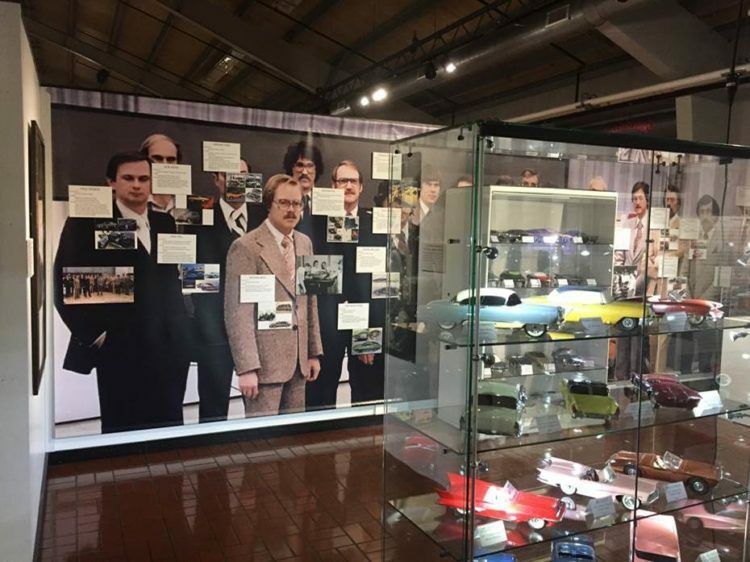 Thank you for sharing this- I have long sought the full story on this beautiful UK-based project and great to read it here at last. 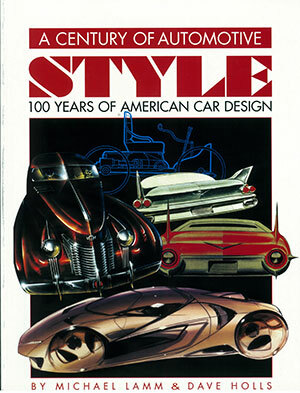 What a beautiful design – that was a great era for experimental design projects. 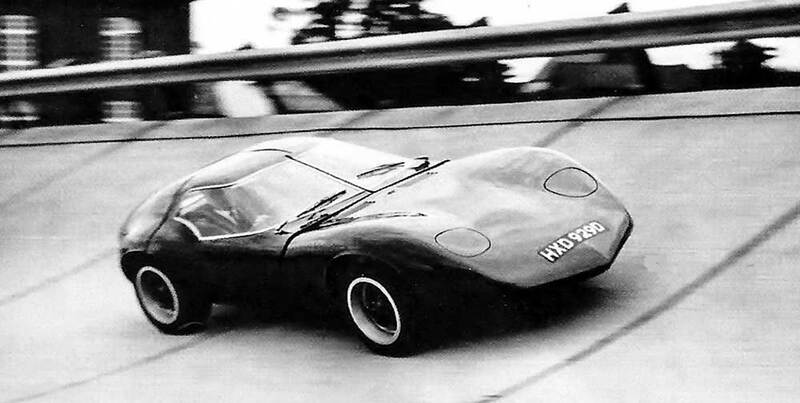 I had the fortune to ride in the Monza GT at GM’s test track back in 65. 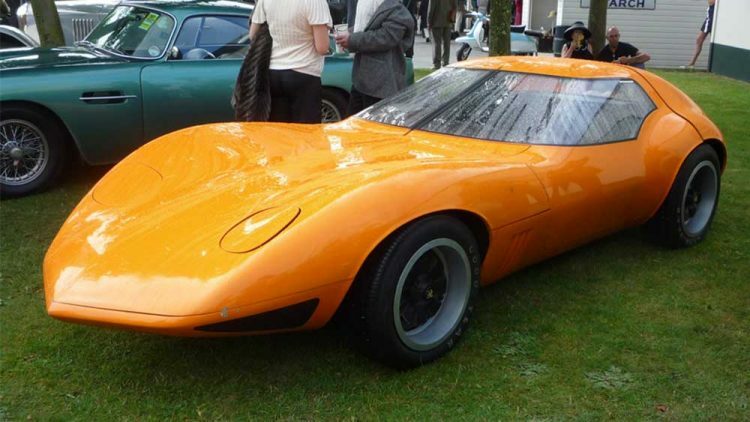 The Mako Shark was there as well. 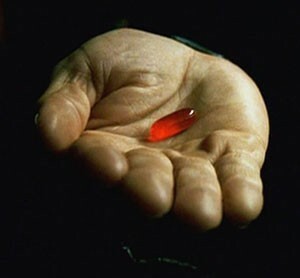 Still enjoying the site. 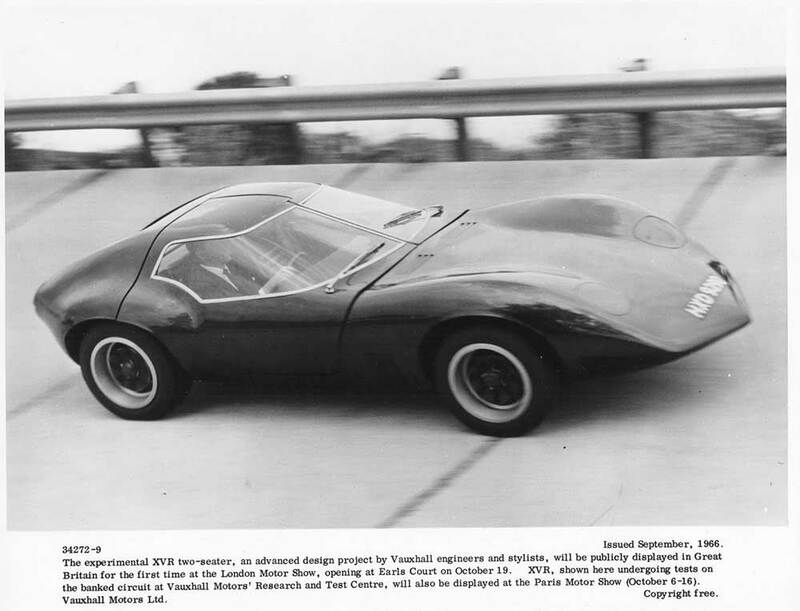 Really liked the article on the Vauxhall XVR. 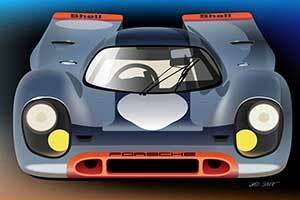 Attaching some images of it that I shot at Goodwood 2013. 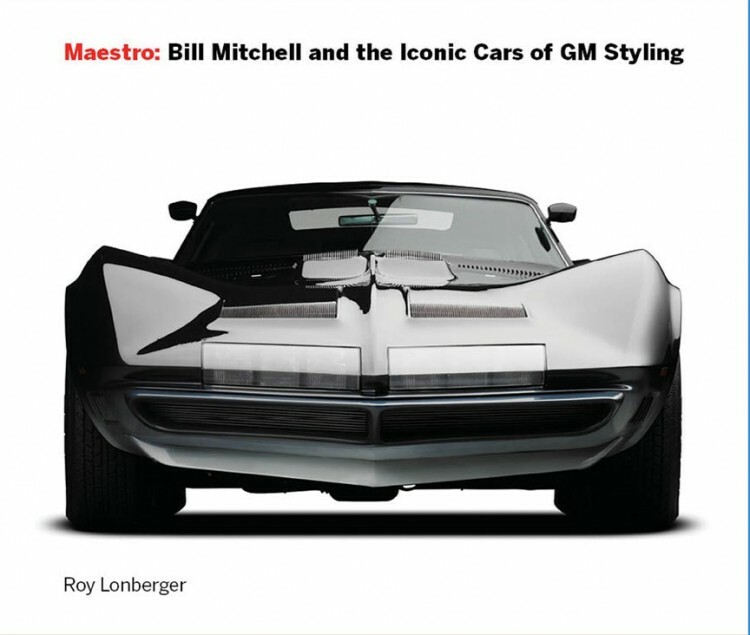 I attended the Fisher Body Craftsman Guild reunion at Art Center last October, it was great to meet some designers who I’d always heard about. I was showing a couple of my Dad’s models, so felt a little out of it compared to the guys that participated and won the contests. 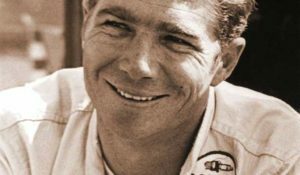 I wanted to attend to honor my Dad. 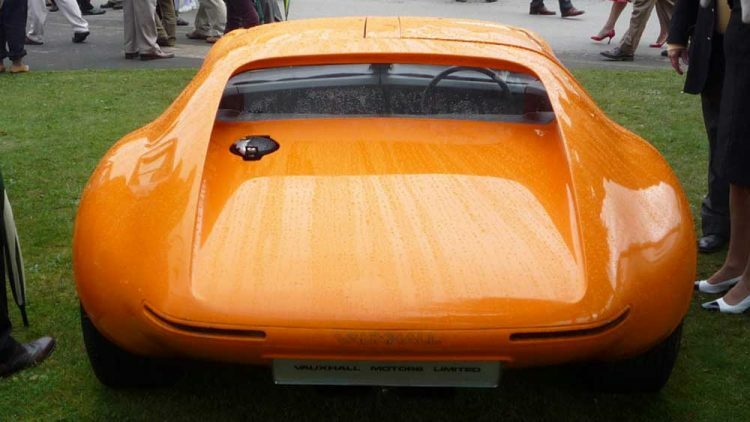 XVR was a seriously voluptuous coupe. 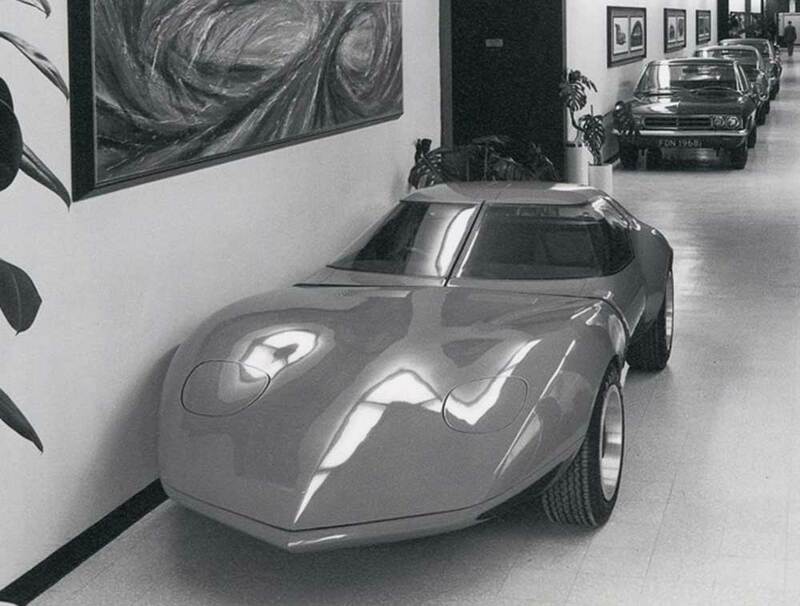 It would be interesting to see a piece on the concept that followed a few years later, the SRV (Wayne Cherry/ Chris Field/ John Taylor), which was a dramatic statement for 1970. 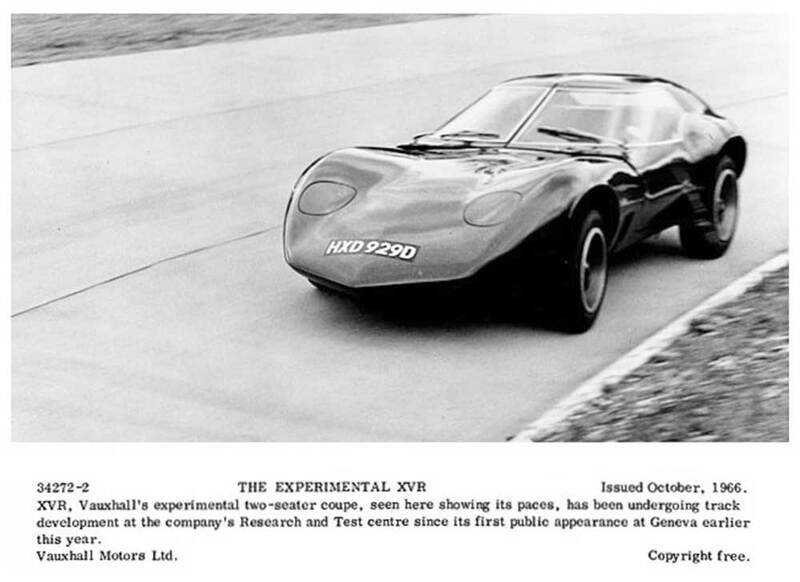 My dad took this to the 1966 Geneva motor show when he worked for Vauxhall.